Have a Jacket Shop Account? Our digital mascot mats are now brighter and more vivid than ever with almost 10 times the resolution of other printed mats. 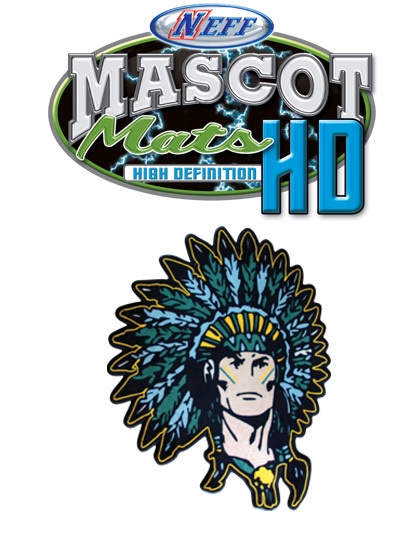 And with the ability to print custom shapes, such as school mascots or logos, you can create unique, custom designs that fit your school brand and needs! Each mat features photorealistic images, and is comprised of 100% static dissipative nylon, complete with a 3-year warranty. These mats also come with stainstopper material to protect color. Ordering our custom shape mascot mats is easy and delivery time is quick. Take a look at our full selection of school mats. Due to the custom nature of this product, it cannot be ordered online. Call Neff Customer Service at 1-800-232-6333. Fax your order to 866-896-6333. Simply call us at 800-232-6333. We’re available Monday to Friday 7:30am – 5:30pm EST.